For some birds that nest along western streams — including American Dippers and female Harlequin Ducks, like this one — the best way to remain inconspicuous is to hide in plain sight—by looking like just another wet, gray stone. The female Harlequin, resting atop a boulder, is master of camouflage, blending in with the drab background. This show made possible by the Bobolink Foundation. A mountain stream tumbles through a canyon in the West, its clear waters coursing among gray stones and boulders. For some birds that nest along these streams, the best way to remain inconspicuous is to hide in plain sight—by looking like just another wet, gray stone. 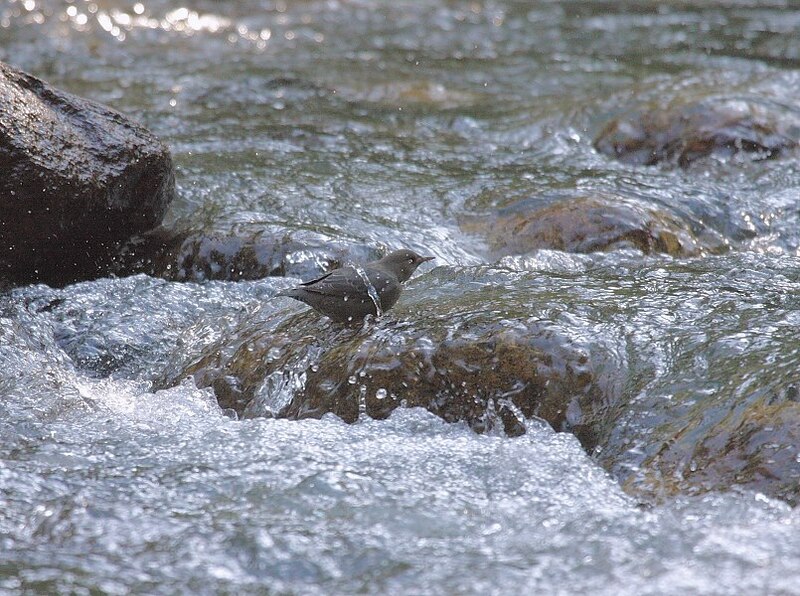 Birds like this American Dipper, singing from a flat-topped stone in the middle of the rushing stream. 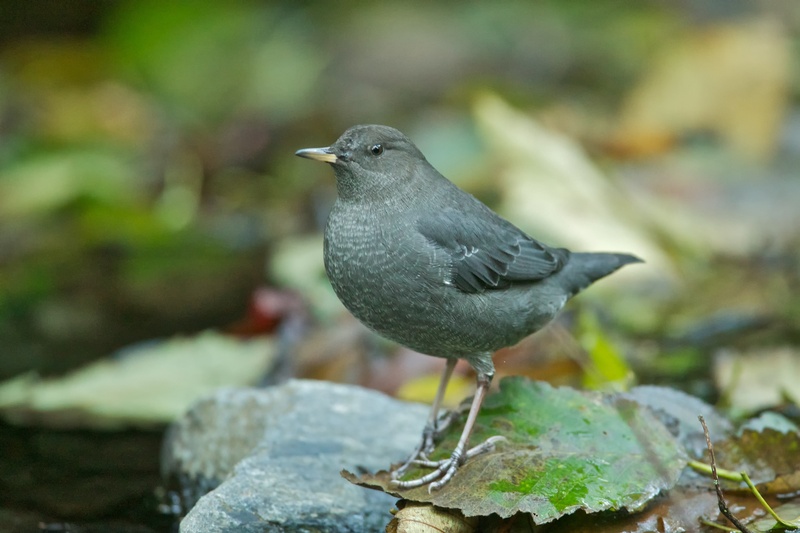 Plump, short-tailed, and a bit smaller than a starling, the slate-gray dipper is such a close match to the wet stones that it takes a keen eye and a lot of patience to spot it. 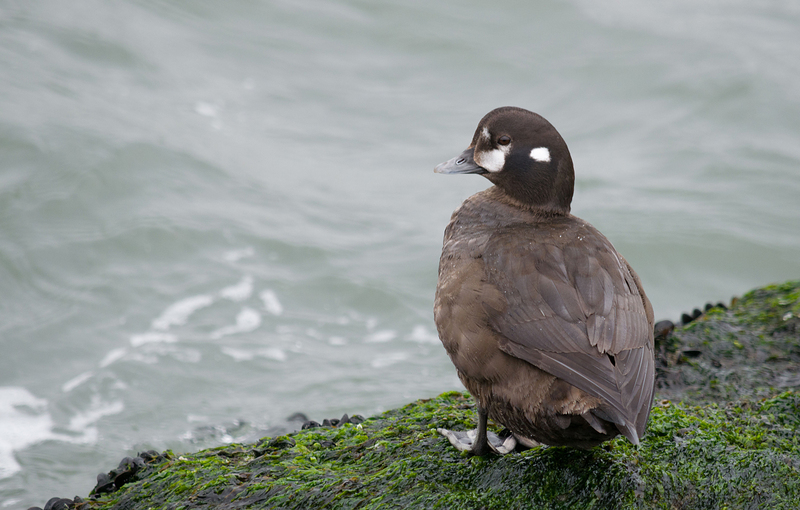 Nearby, resting atop a boulder in the stream, is another master of camouflage: a female Harlequin Duck. Male Harlequins are pretty flashy, but females are stone-gray and, if anything, even better camouflaged than the dippers. The female Harlequin has three irregular spots of white on each side of her head. She’s a perfect match for a stone in the stream that has been marked by some…[pause] whitewash left behind by an earlier bird visitor. 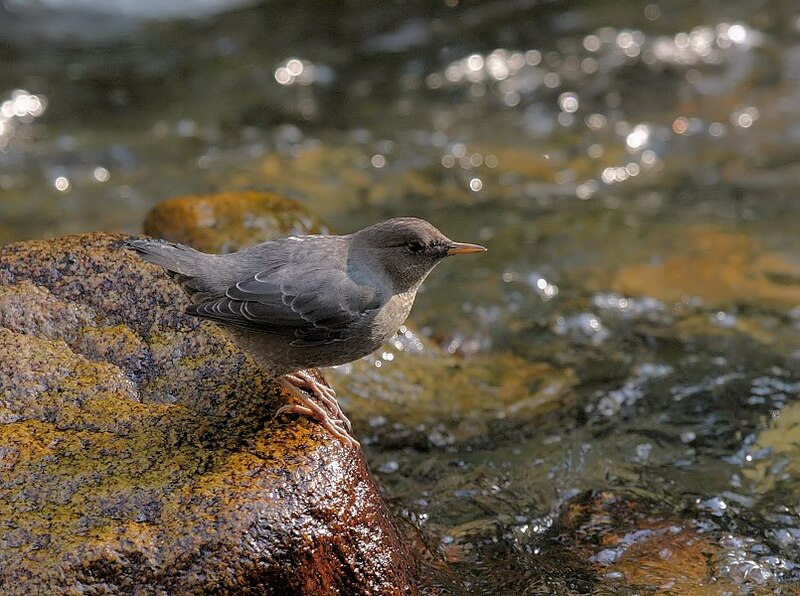 Many American Dippers remain year-round on these streams, always among the stones. Sometimes, when you live in the middle of a rocky mountain river, it pays to be gray. Bird sounds provided by The Macaulay Library of Natural Sounds at the Cornell Lab of Ornithology, Ithaca, New York. Recorded by Randolph Little and Phil Green. BirdNote’s theme composed and played by Nancy Rumbel and John Kessler. Other effects in this episode include Nature Sound Essentials "#20 River". 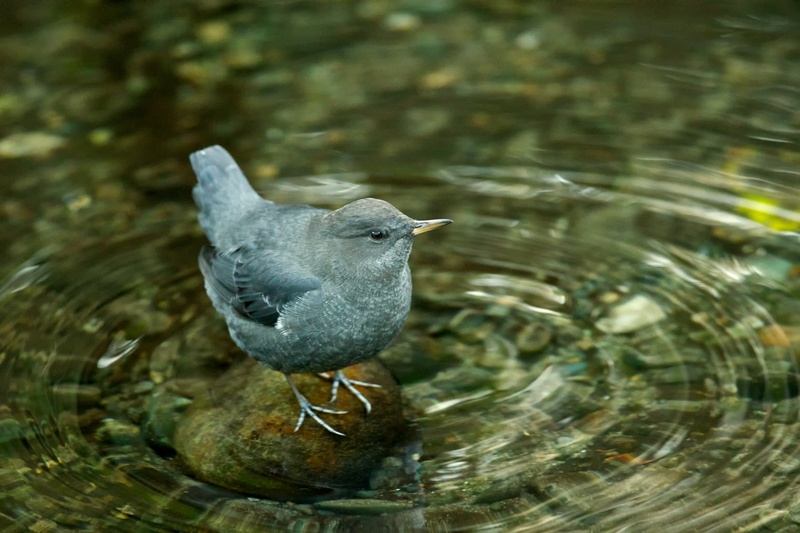 American Dipper #3 - " Singing In The Rain "